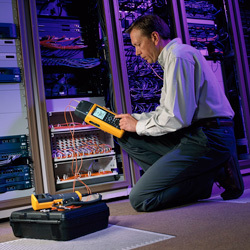 Finding the right test and measurement instrument for your application is vital. Our experienced Application Engineers have literally matched tens of thousands of individual applications, with our instruments, and are here to assist. TechRentals® has the technical expertise and a comprehensive range of equipment, to ensure you make the right selection, and have it arrive where and when you need it.We rent in calendar days, from one day to as long as you require. We recognise each of our Customers has unique requirements, so we can tailor rental equipment, periods and pricing to suit individual needs. If your rental is for 3 months or more, ask about our long term rental rates. Pay only for the days required! Where your rental requirement is for a short time, just nominate the exact number of days to cover your project and a competitive daily rate will be calculated.Rental commences the day you receive the equipment, and the last day is the day you dispatch it back. If the rental is extended, the number of additional days will be charged at the originally agreed daily rate. Pick up from our Penrose,Auckland office Monday to Friday,8am – 5pm,or we arrange nationwide delivery via overnight courier (urgent couriers may also be available).At the end of the rental attach the return delivery label and courier tickets (included), make one phone call to organise pick-up and that is it! Return Freight costs, per average equipment item, range between $24 and $72. Urgent delivery or remote locations, may cost extra. How quickly can I have the equipment? Once you place your order, the equipment will be ready for collection the same day, usually within an hour for most items (subject to availability). If delivery is via courier this is normally an overnight service. Prices quoted include a damage waiver fee. This is a form of insurance to cover you against the cost of repair for accidental damage to equipment and additional rental charges while equipment is being repaired. Damage waiver does not cover against loss, theft, or malicious or negligent damage. Please refer to our Rental Terms and Conditions for full details.Damage waiver is available for most equipment and if it is not we will advise you. We accept payment by TT, MasterCard, Visa, Cheque and Cash or if you qualify, you may open a Trading Account. In addition to providing a rental solution TechRentals® can configure equipment and download data collected. Fees for these services vary from product to product depending on the complexity of operation and the level of detail involved, but can save you both time and money. Read more about our Technical Support Services. We also provide Calibration Services for electronic instruments, and can tailor these to any specific requirements you may have. 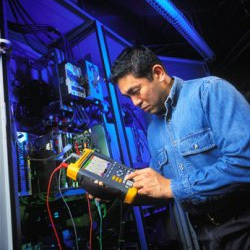 Read more about our Calibration Services.